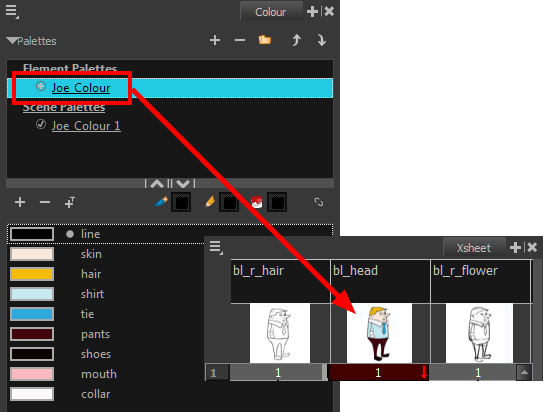 ‣ In the Colour view, click the Show/Hide Palette List View button to expand or collapse the Palette List area. 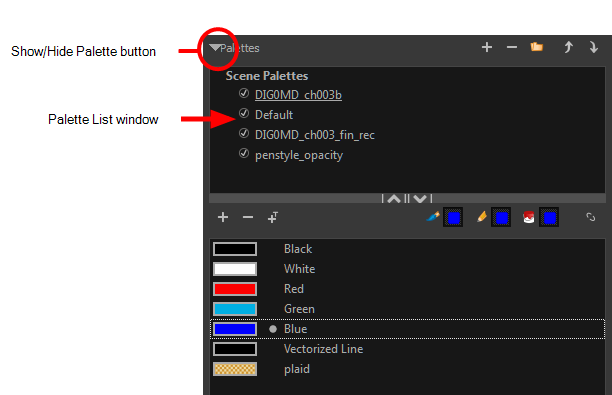 The Palette List window opens and displays all your palettes. 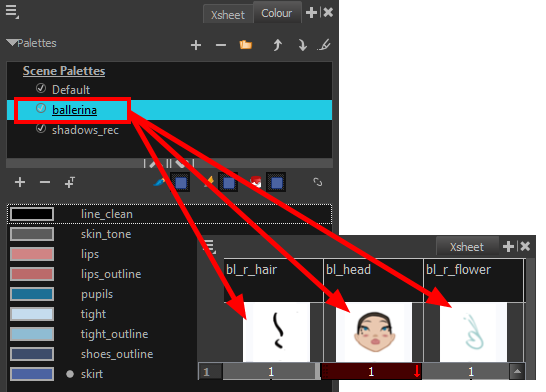 ‣ From the top menu, select Edit > Preferences (Windows/Linux) or Stage Paint > Preferences (Mac OS X). 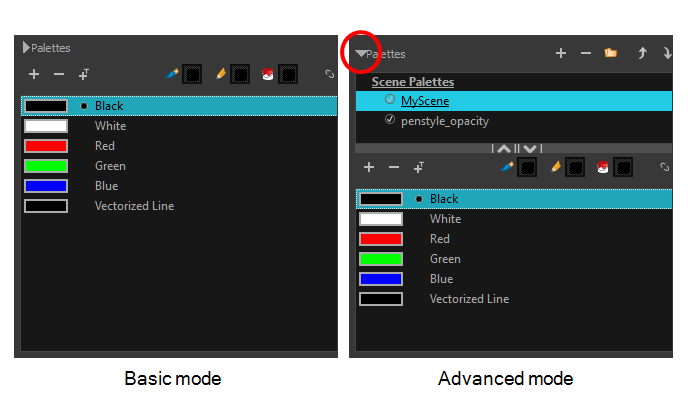 In the Advanced OptionsColor Management section, select the Advanced Palette Lists option.